This is a summary of a recent CVS shopping trip that I made. There were a few deals that caught my eye in this haul. 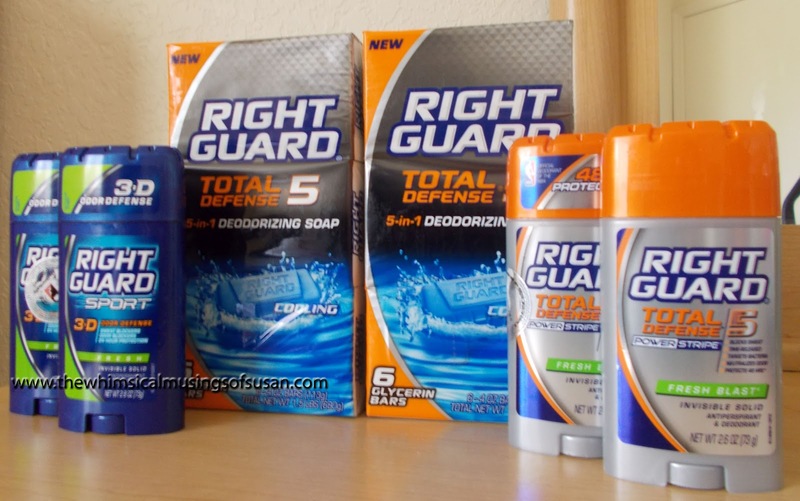 One was purchase “Right Guard or Dry Idea antiperspirant & deodorant at 2/$6, with an Extrabucks reward of $1.00 on 2”. The other was purchase “Right Guard Total Defense 5 body wash 13.5 oz. or bar soap , 6 pack at 2/$6, with and Extrabucks reward of $2.00 on 2.” By the way, these deals are not currently in effect. The sales ran from Sunday, September 9, 2012 thru Saturday, September 15, 2012. I used 5 manufacturer coupons and 1 CVS Extrabucks reward during this shopping trip. I also earned $4.00 in Extrabucks after the transaction. $2.00 in Extrabucks were earned for purchasing the deodorant and $2.00 in Extrabucks were earned for purchasing the bar soap. So, it’s like I paid only $6.08. Pretty good, don’t you think?